Posted in ADL in the Courts, Blog, Civil Rights, Combating Hate, Discrimination Complaints, Immigration, Interfaith, Muslim & Arab, Religious Freedom, US. 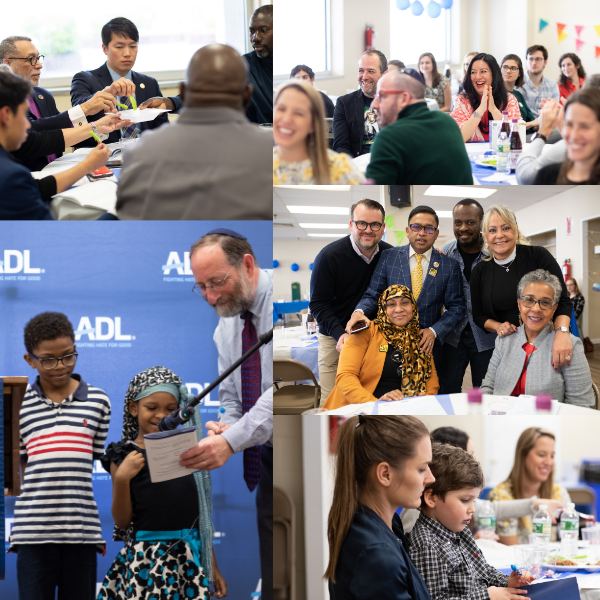 On April 7, 2019, ADL New York/New Jersey hosted its first annual “A Nation of Immigrants” Community Seder in Co-op City in the Bronx. The idea for a community Seder is based on the continued relevance John F. Kennedy’s 1958 book, A Nation of Immigrants. In previous years, the Nation of Immigrants Seder was hosted at a local grade school during the weekday. 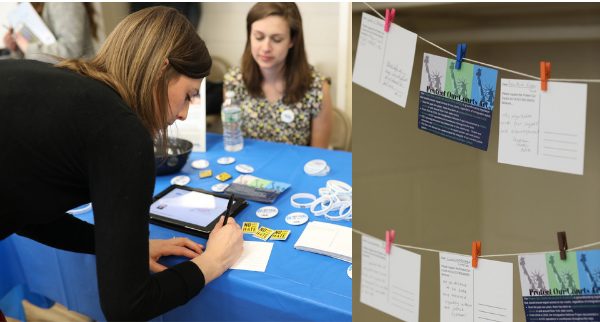 This year’s Seder took a different approach, expanding the accessibility of the Passover Seder to the diverse community of Co-op City, and furthering our vision to make “A Nation of Immigrants” Seder a unified community event. 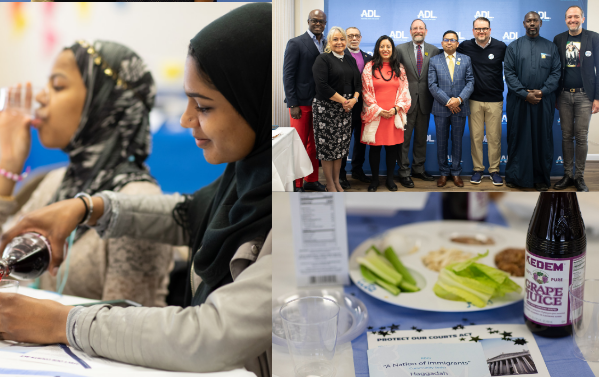 The event was hosted by ADL’s New York/New Jersey Region, the 2019 Glass Leadership Institute Class, and Co-Sponsored by the Bronx Clergy Task Force and Peace December. We are also grateful for the support from event co-hosts Sheikh Musa Drammeh, Bishop Angelo, Bishop Nancy Rosario, Bronx District Attorney’s Office, NYC Councilman Andy King, Gandy Thomas, Acting Consul General of Mexico in New York Vivian Juarez, Mohammed N. Mujumder, and Carlos Gerado Izzo! Check out the full photo album here. The Seder also brought attention to the New York Protect Our Courts Act, which ADL strongly supports as a proud member of the “ICE Out of Courts Coalition” – a statewide coalition of advocates, public defenders, civil legal services providers, labor unions, and membership organizations calling on the New York State government to stop ICE from targeting immigrant New Yorkers in the courts. The bill aims to ensure that all New Yorkers, regardless of immigration status, can access our judicial system without fear of deportation. 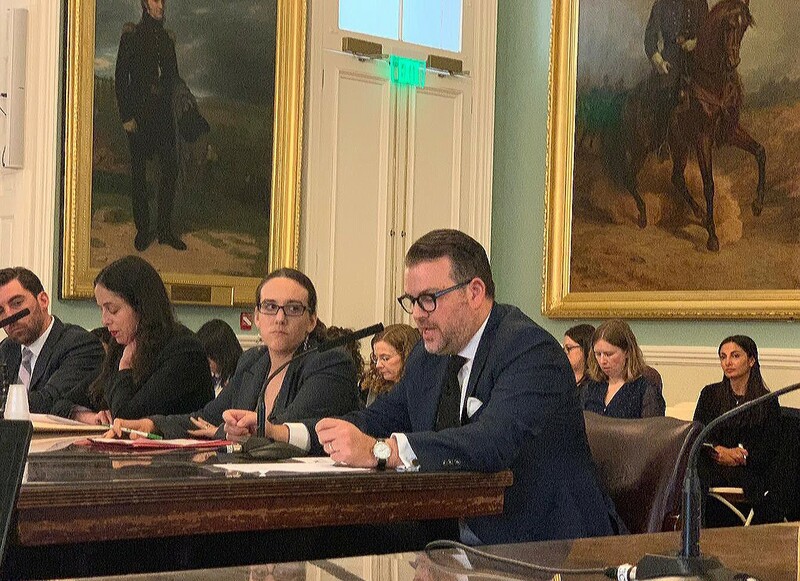 On April 10, our Regional Director, Evan Bernstein, testified before of New York City Council in support of the Protect Our Courts Act. Evan brought attention to the escalation of ICE arrests in and around New York courthouses, which has had a chilling effect on the reporting of crime and the ability of victims and witnesses to access our justice system. Immigrants, who are already reluctant to interact with law enforcement in the current political climate, are even more afraid to come forward, making it difficult — if not impossible — for local police to rebuild the bonds of trust and cooperation with immigrant communities. This compromises the safety and security of us all. To learn more about the impact of ICE courthouse operations on the justice system, read our ICE Out of Courts Coalition’s latest report.